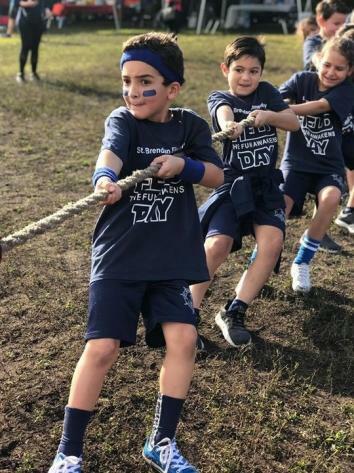 St. Brendan Elementary students take part in a tug-of-war contest during Field Day of Catholic Schools Week 2019. 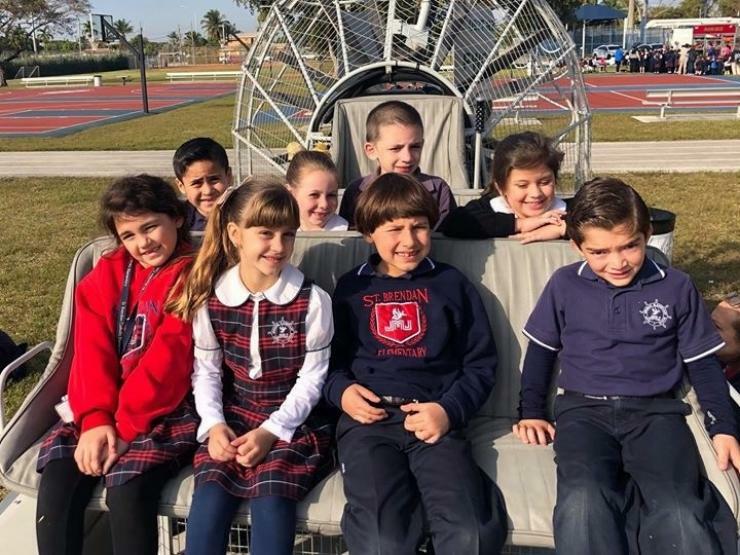 St. Brendan Elementary students try out an airboat during Career Day of Catholic Schools Week 2019. 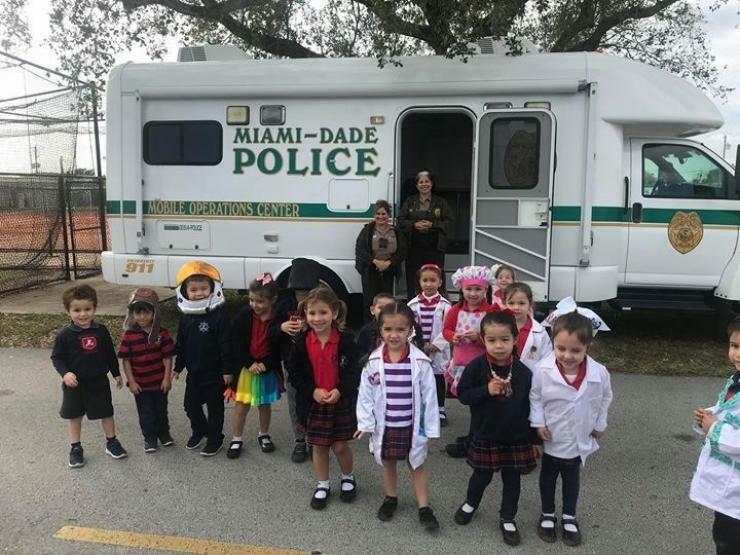 St. Brendan Elementary students heard from police officers during Career Day of Catholic Schools Week 2019. St. Brendan Elementary students pet an alligator during Career Day of Catholic Schools Week 2019. 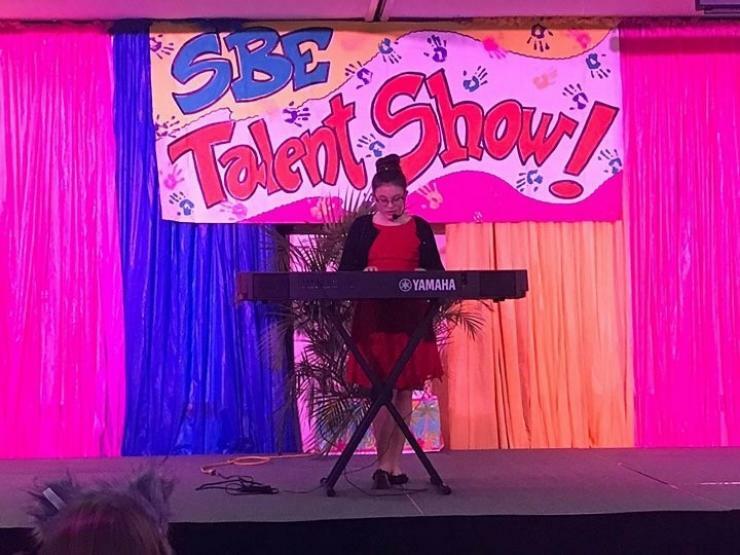 A talent show was part of St. Brendan Elementary's celebration of Catholic Schools Week 2019. 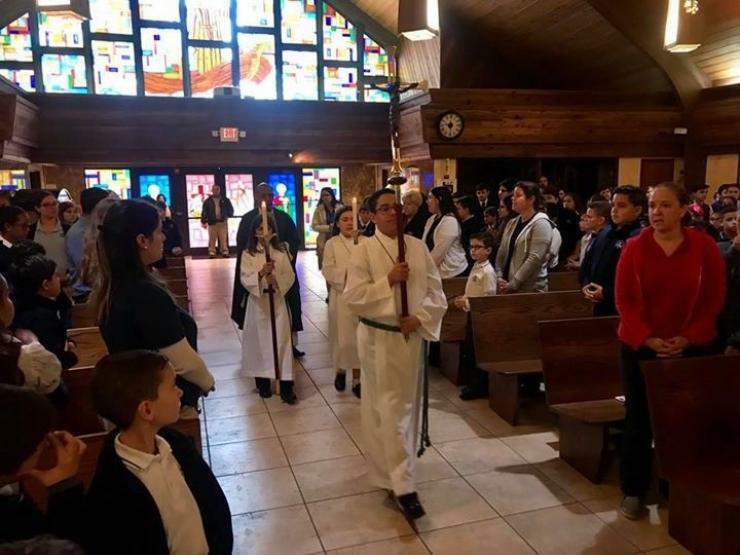 St. Brendan Elementary students, parents and faculty gather for Mass during Catholic Schools Week 2019. At the Monday Talent Show, the children demonstrated the many talents God bestowed upon them. Teachers and staff were celebrated Tuesday. The entire school gathered for Mass on Wednesday. At Thursday’s Career Day, visitors from all walks of life let students know that with faith and perseverance, anything is possible. The week culminated on Friday with Field Day where Navigator families gathered to celebrate unity.